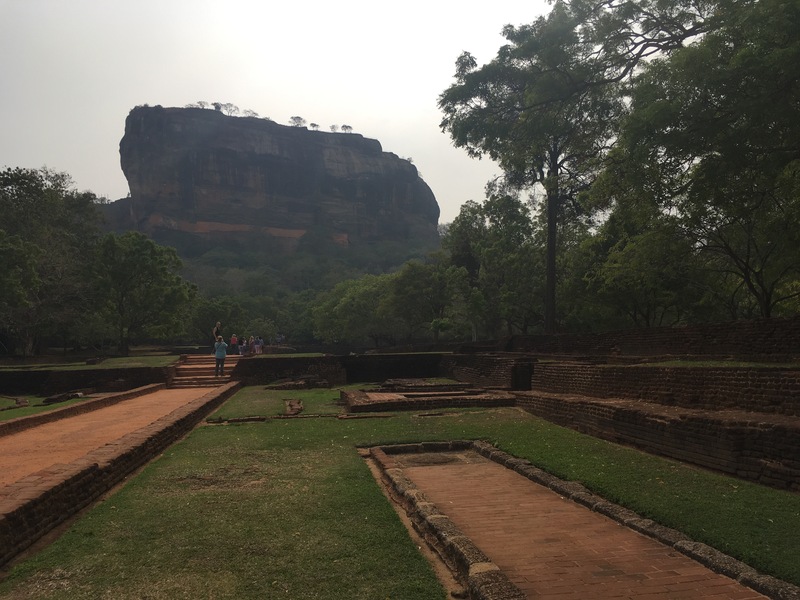 Sri Lanka was the first country outside of Europe (besides my birth country, the US) that I had visited, and it was the perfect starting point. In addition to having all the factors that I really want out of a holiday, it was friendly and easy to get around. 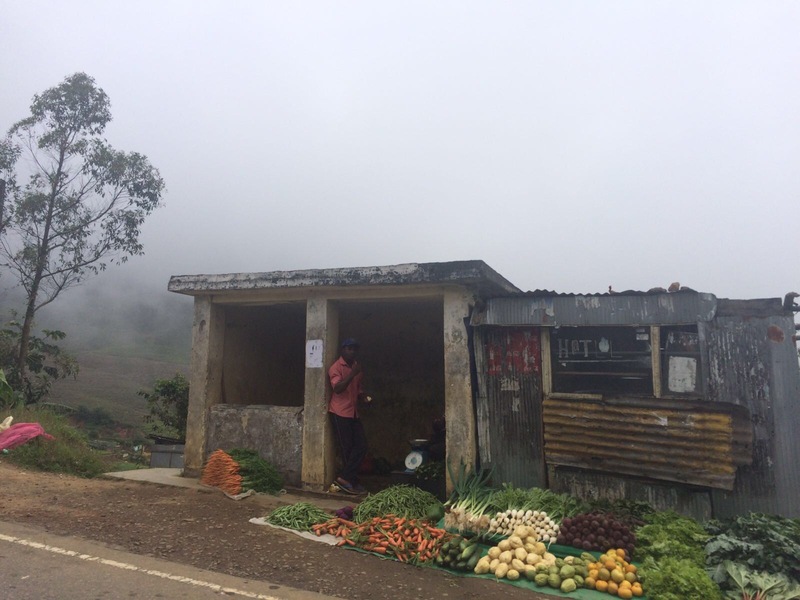 I visited in October, meeting up with one of my friends who was about halfway through her tour around Asia, and while we had a couple of cloudy days, the weather was great for the most part, being between monsoon seasons. This truly stunning country is full of unforgettable moments. While there are so many more reasons to visit than those I’ve listed below, these are some of the things that really stuck out to me and made it such an incredible trip. I admit it, I’m a beach snob. I’ve been lucky enough to live near some truly gorgeous beach (North Carolina coast and the Gower in Wales) and that has spoiled me. 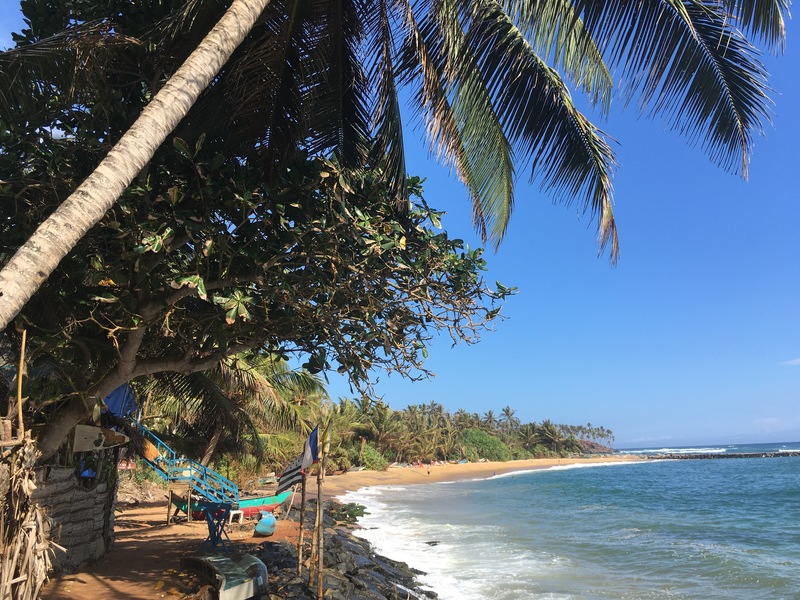 Golden sands dotted with seashells, a sea that is just as great for swimming as it is surfing, room to spread out, and not a resort in site… these are the things that really tick the boxes for me, and Mirissa has them all. 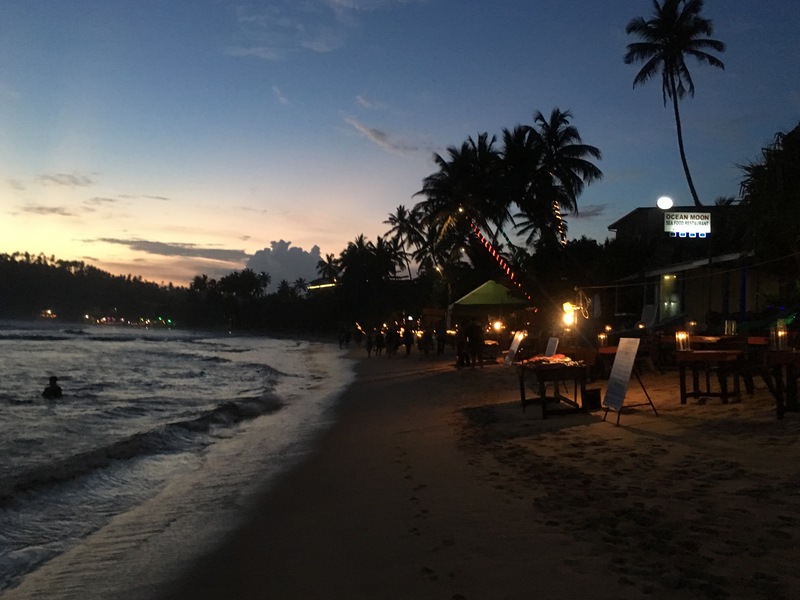 Add to that some great seafood eaten with the sea lapping at your feet and some low-key but fun beach bars and it truly is paradise. 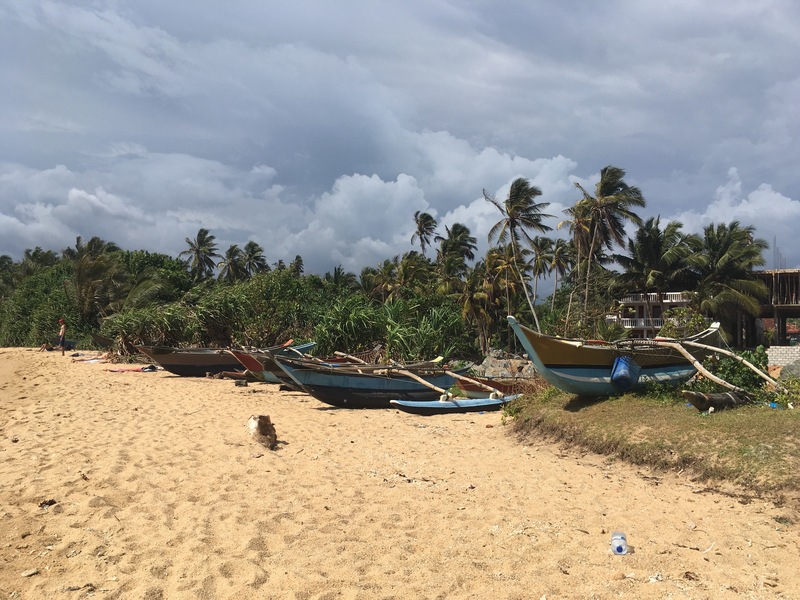 Sri Lanka has no shortage of world-class beaches, but I was glad we picked Mirissa to spend our first few days. 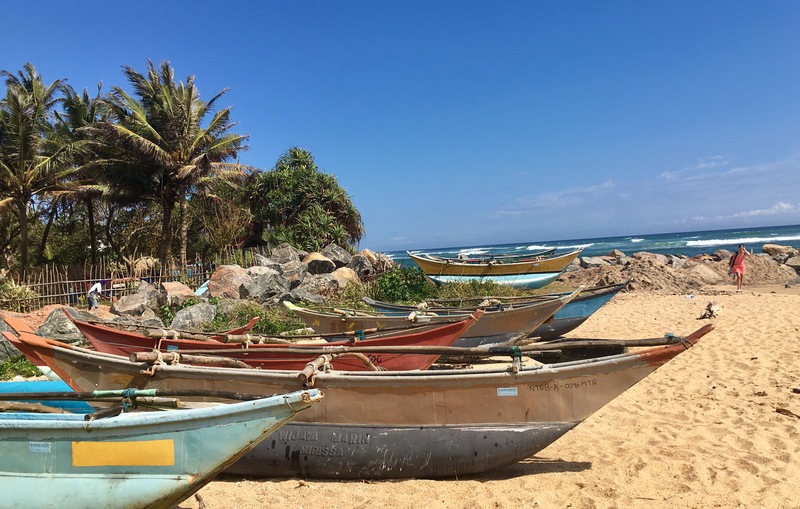 Located on the most southerly part of the island on the western side, it’s pretty easy to get to from the airport in Colombo, either by taxi or by train. We took a taxi there (I’d highly recommend booking ahead through Ceylon Airport Transfers, they had one of the more reasonably priced deals, prices were as stated, and we felt really safe with our driver), and we got the train back to Colombo. Spend your day lounging with a mango lassi (or something stronger) and when you’ve had too much sun, head for a massage at Badora Spa. One of the highlights of this breathtaking country is the chance to see some truly spectacular wildlife. 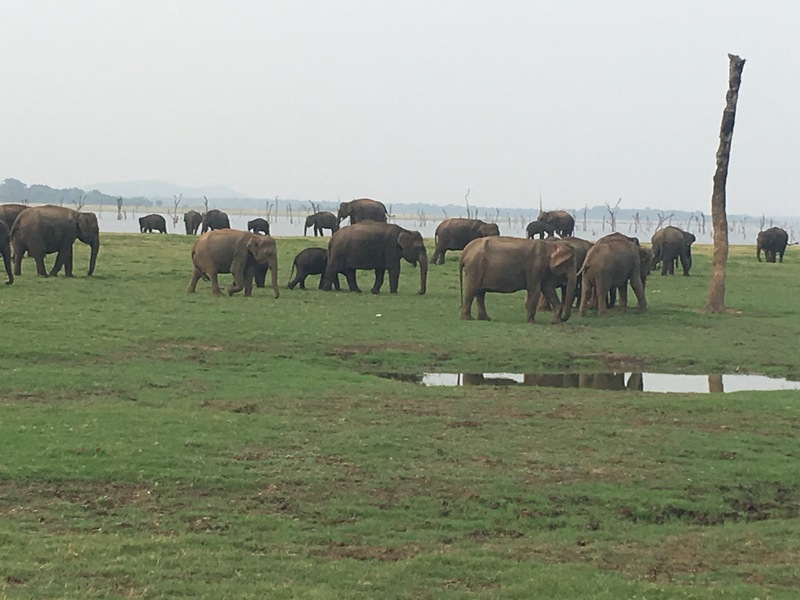 Minneriya National Park is the largest known meeting of Asian elephants, and jeep safaris are available to witness them up close in person, in their natural habitat. Seeing so many and even getting a sense of their unique communities is an unforgettable experience. Along the way, you’ll also spot three types of monkeys, plenty of exotic birds, among others. 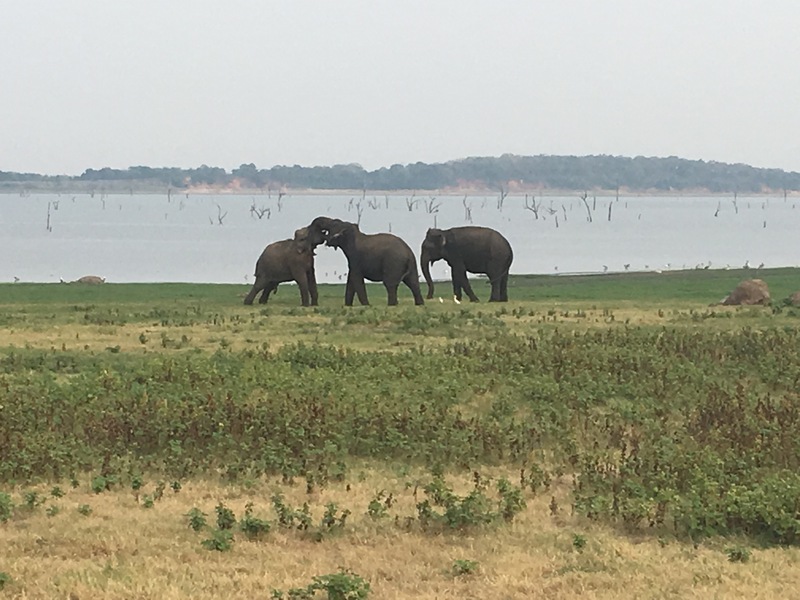 Elsewhere, parks such as Uda Walawe, Yala, and Wilpattu also offer the chance to spot elephants, monkeys, and birds, as well as the rare sighting of leopards and sloth bears, although I didn’t have time to see the other parks on this trip. On the coast, daily whale-watching tours offer the chance to spot blue whales, humpbacks, amongst others if you are lucky. Book with Raja and the Whales. They practice responsible watching that tries not to disturb the whales and promotes research. 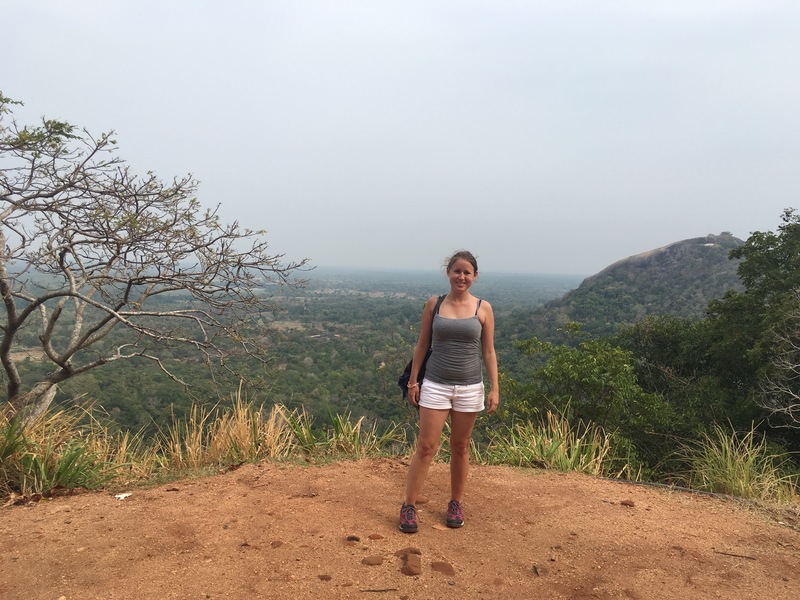 In addition to whale watching and jeep safaris, Sri Lanka doesn’t disappoint the outdoorsy-at-hearts. It’s beaches provide surf-ready waves and inland, the rivers are dotted with white water rafting adventures. We stopped off, where the rapids were lively but fit for beginners and it ended with a relaxing float down the river. Just watch out for the leeches at the water’s edge, turns out spiders are not my biggest creepy-crawly fear. 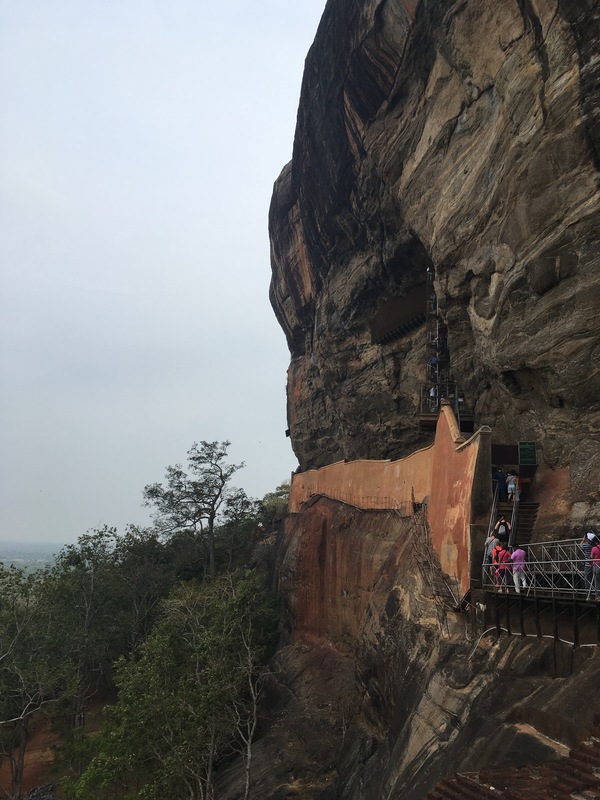 Meanwhile, climbing Sigiriya Rock may be a walking excursion, but requires some steely nerves when it comes to heights, particularly when navigating the various not-so-sturdy-looking steps set into the rock face. The rock reaches a height of 660 feet, and the wonder of the place and incredible views are more than worth the effort. Fish curry: Sri Lankan fish curry is a signature dish. If you are sensitive to spice, ask for your curry mild, I’m pretty tolerant but I had trouble finishing my first curry there! Hoppers: These crepe-like bowls are a fantastic breakfast or street food. Roti with sambal: My food highlight was during a cooking lesson in a local village where we learned how to make this gorgeous dish, but it’s readily available throughout the country. Ceylon Arrack: This distilled liquor is made from the juice of the coconut palm. When I first went to try this, I’d pictured something sickly and Malibu like, but the reality is smooth and whiskey-like. The hotels we stayed at did cater to Western audiences as well with some familiar fare, but I would recommend stepping outside your comfort zone to discover some truly unforgettable dishes. 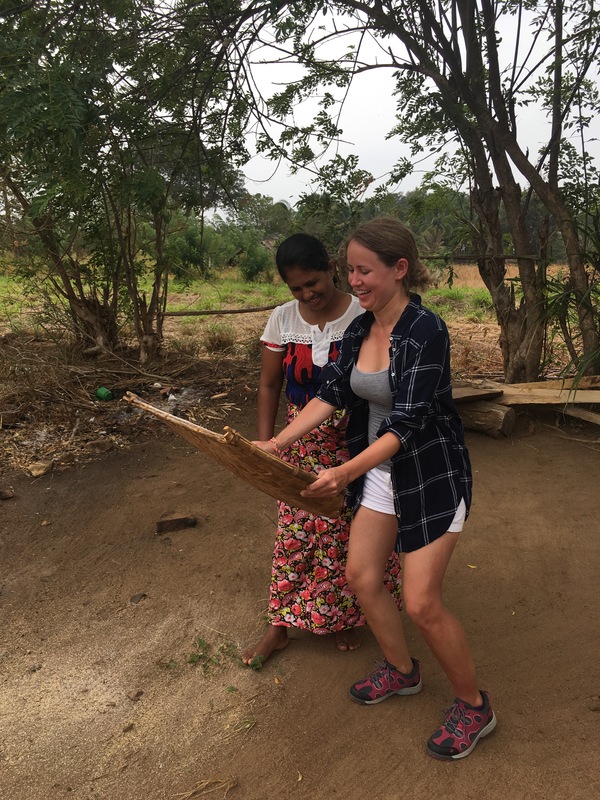 My overall impression of Sri Lankan culture was the great sense of humour and the sense of warmth we encountered in almost everyone we met. I’ve never travelled anywhere where I have been met with so many smiles. I had to keep stopping myself from smiling at random strangers when I arrived back in the UK. Bring a laid-back attitude, lots of smiles, and a sense of fun. You are going to come home with a heavier suitcase. We tried our best to avoid being taken in by the sales pitches on parts of our tour, but I couldn’t resist some of the gorgeous products. I’m still loving the aloe and sandalwood face cream, along with the green oil I picked up, although be warned that if you visit a spice garden, it can be overpriced, and beware of the sales pushes. Among the other treasures I brought back was a bowl carved from cinnamon wood, some comfy trousers, tea, and a carved mask. 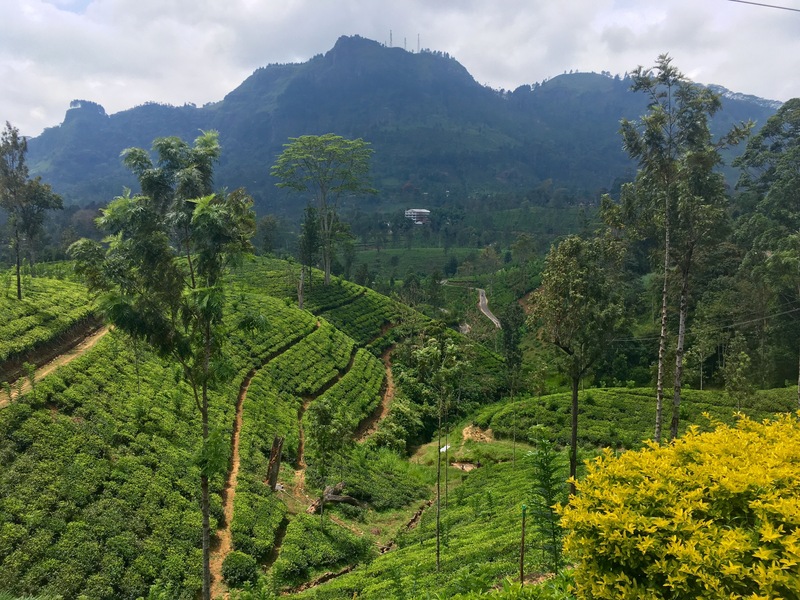 Ceylon (as Sri Lanka was formerly known) tea is grown in several regions, each with their own distinct flavour, with the most famous being the regions of Nuwara Eliya and Kandy. The tea itself is worth the visit, but there are just as many reasons to visit as the gorgeous plantations dotted throughout these regions’ hills. 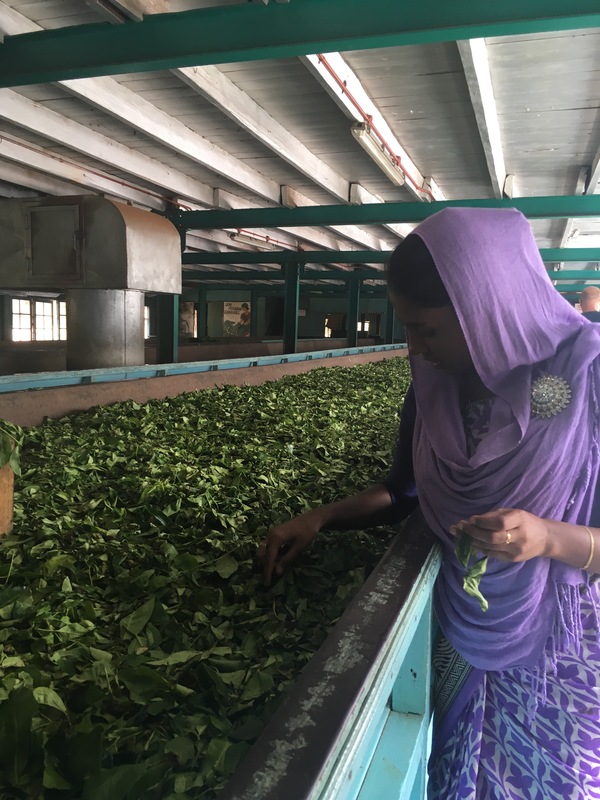 Tours are available to see how the tea is made and sample a variety of black, green, and white teas, and while ours was a part of the four-day tour we were on, you can book independently as well. Expect something much more complex in flavour than your usual cuppa, and luckily, there’s plenty of opportunities to purchase some of the tea to take home. For such a small country, the diversity in climate means there’s a little bit of everything here, making for a holiday that is perfect for the foodie, the outdoorsy, the beach bum, or someone that wants to experience it all. Wow that looks like you had an incredible time. I really want to go to Sri Lanka soon, thanks for sharing these helpful tips.